Friends are elixir of our life, whether it is sharing long talks, having crazy fun or just hanging out, we just cannot do without our friends. A friend in need is a friend indeed. When you are with your friends especially the best ones, everything seems to be more vibrant, livelier and cheerful. When you are in their company, even the boring lectures and gathering get excited and equally engrossing for you. Travelling with you buddies no matter what time of year it is or whichever location it is, unlimited amount of fun and excitement are always guaranteed with the best friend. MANALI – LEH ROAD TRIP: The heavenly road trip from Manali to Leh is considered as the Mecca of all road trips. You can go backpacking with your besties. Be it for the groups or solo travellers, this route outshines any other backing packing trips in India .All you need to do get geared up for some adventure and hit the road. This unbelievable path built between mountains and villages gives the memories of a life time. Just pack your bags and hit the road and experience nature at its best. THE FROZEN RIVER TREK AT CHADAR: How often does one boast about walking in a frozen river in a dreamlike destination? Here you can actually walk on the frozen river. It is one of the most thrilling experiences, as you walk through the frozen river with you best friend laughing and enjoying all the way. The chadar Trek route actually connects the Zansakar River with the valley located deep in the mountains. Visit this place to experience the dream like adventure. SANDAKPHU DARJEELING: it is one of the five highest peaks in the world. The unique thing about this place is that you can spot around 600 varieties of Orchids here. Visit the ethereal beauty with your friend and boast about it. With its magnificent beauty and the stunning view this land is another heaven on earth. MARJHA VALLEY TREK: when we feel like breaking away from the daily life, the first thing that rings in your mind is going out on a trek. So while you are visiting ladakh then this is one of the most favourite trek which you should definitely go for, otherwise called tree house trek. This trek gives you a blend of kaleidoscopic images with its hypnotising excellence. Absorb the greenery and the scenic beauty of this region. Breathe in the morning air and listen to the chirping of birds as you continue to walk, climb to the highest point of the Gandala La and Kongmaru la and appreciate the dazzling perspective from the top. JIM CORBETT NATIONAL PARK: you have explored the malls, the football fields, the crazy cuisines and the latest movies, now is the time to encounter the wilderness with you best friend. To connect together with the nature and its mesmerizing creations and strengthen the bonds you share do visit this national park. Experience the WILDLIFE SAFARI with 400 species of flora and fauna that are found at the Jim Corbett Park. It is also an abode to the endangered Royal Bengal Tigers. So pack your bags and embark on this expedition and tag it as jungle diaries. 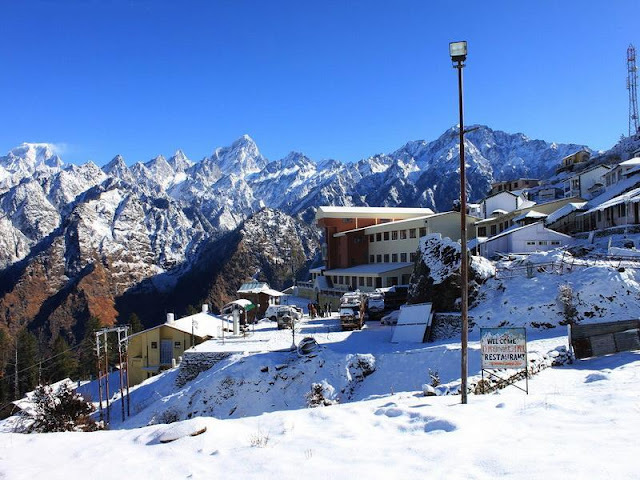 AULI: Most of you have been thinking about visiting the Garhwal Mountains. This is the perfect chance for you. So just head out for a vacation to this mesmeric Auli. Add some rush to life. It offers adventures like Skiing, trekking, river rafting and touring. Skiing is the most preferred experience sport in Auli. The broad range implied for skiing is amazing. KASOL: Kasol is a town in Himachal Pradesh, Northern India. Words will fall short while you speak about the never ending beauty of this place. And if you are planning for an offbeat wilderness then this is the perfect destination for you. A destination offered with the greater part of nature gifts. Kasol is known for its Israeli occupants, Parvathi waterways, trekking base camp and Malana. When it comes to spending time with you best friend nothing is as awesome as having a trip with them.